The Film “The Head Hunter” brings forth a pertinent question about the creation of a homogenous culture of existence and morality. 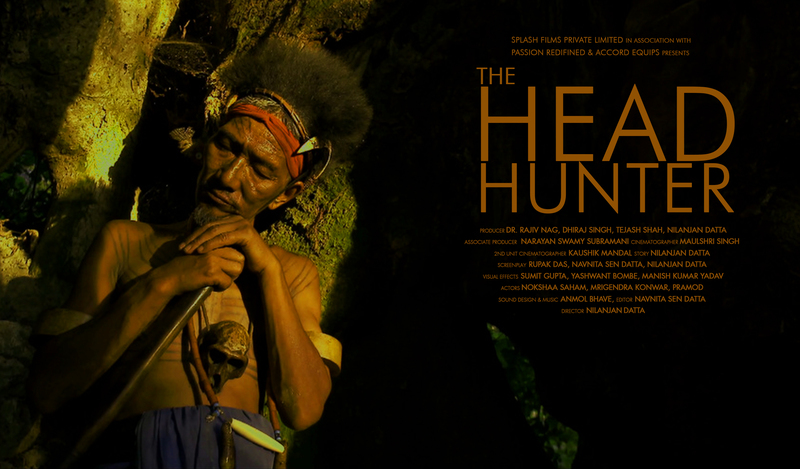 It is about an old tribal man from a forgotten tribe of India, who dwells in a forest as ancient as him. Fierce and warrior like, rugged and wrinkled, he belongs to the North Eastern tribe of India called the `Wancho tribe,’ dreaded for their practice of head hunting. Donning headgears made of bamboo and hairs of wild bears, and wrapped in nothing more than a loincloth, he is the lone caretaker of one of the wildest and most dangerous forests of India. When the government decides to build a road through the Old man’s forest, he resists and becomes a nuisance for the administration. Finally a city bred young official, who belongs to the same tribe as the Old man and also speaks his native language, befriends him and tricks him to spend a few days in the city. For the first time in his life the Old man encounters the concept of money, concrete buildings, crowds of people and complex living. When he finally comes back to his forest everything has changed. The ancient land of his ancestors, which he was so fiercely protecting all his life, has now become a thoroughfare for the city dwellers. The film is a story of human tragedy, of lost identity and also of the comic simplicity of an ancient man who is exposed to city life for the first time in his long years. It is also about the dilemma of a young official who is forced to betray his own past, in his quest for a secure future. Forest degradation and lopsided development is a global issue. Loss of Identity and homelessness is a tragedy that communinities worldwide, especially the ethnic ones, have faced for decades. The old man is only one such face and his shelter in the forest of Arunachal is only one such uprooted home. Arunachal Pradesh in north eastern India is a land of 26 ethnic tribes and more than 100 sub tribes, shrouded by myths and mysteries, traditions and rituals. Its panoramic landscape of snow covered mountains, lush green forests and gurgling mountainous streams is as breathtaking as it is remote and elusive. Once disconnected from mainstream India, this solitary land is slowly losing its uniqueness and culture, as the consumerist mainstream is slowly and surly making its way into its land, in the garb of development. `The Head hunter’ is an exploration of this encroachment. It is also an exploration of loss of identity, alienation, lopsided development and an encounter with one’s own past. It is a mythical reality, yet it mirrors the concerns that I had while growing up in Arunachal and seeing its people closely. People who took pride in their culture, their traditions and their uniqueness. Today I see bewildered youth everywhere, shying away from their past, in their quest of being accepted in the mainstream. There is large-scale deforestation and unplanned constructions everywhere and I fear that this beautiful land like many other regions of India, will soon be a victim of flawed developmental plans.